Taking a journey through technology world can be scary to many, causing users to panic. 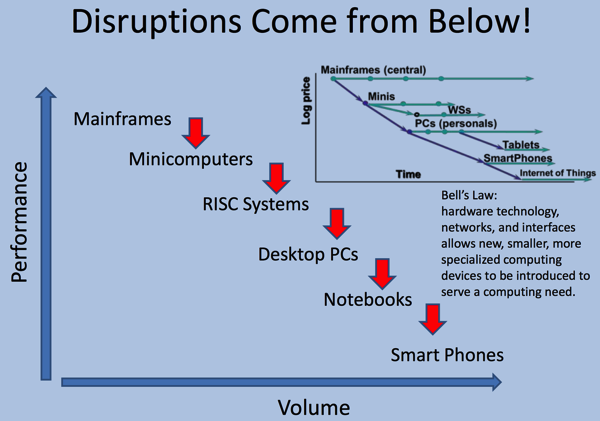 In the beginning users couldn’t get to mainframes or mini’s. Millions of servers exposed many more users to the scary use of technology. Mobiles is in the hands of billions. 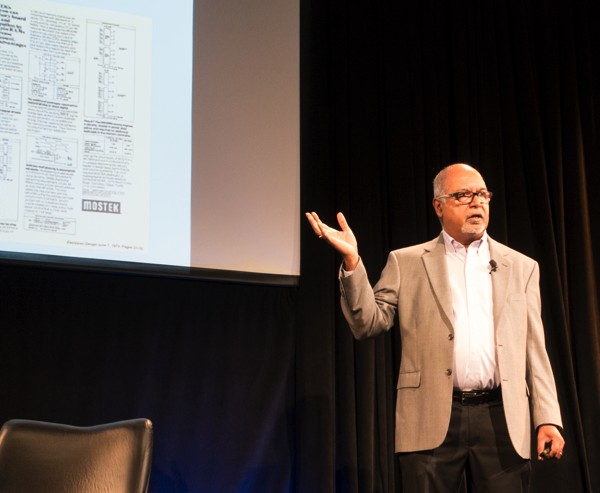 Dileep Bhandarkar gave a presentation at the Computer History Museum on Aug 21, 2014. Dileep’s slide deck is here. As a product developer you may think you don’t need to be scared. Well there were wars going on fighting for survival. Below Dileep covered the RISC vs. CISC wars. 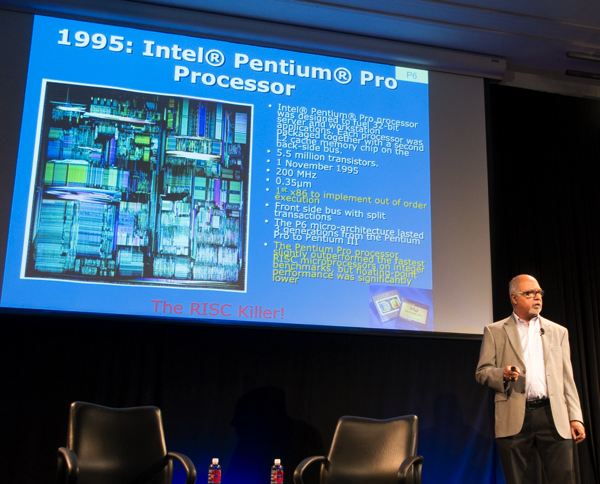 And Intel won the battle with the RISC killer chip. One of the more peaceful battles was the fight for energy efficiency. The path of clock rate was consuming too many watts. 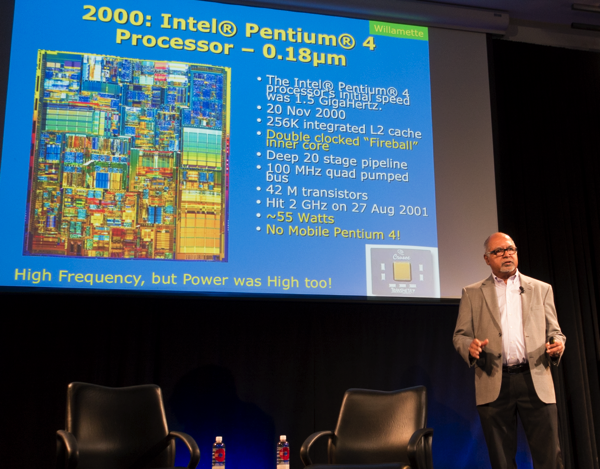 Dileep covered the Data Center as a computer where the battle was/is between Microsoft, Google, and Amazon. One overall theme in Dileep’s talk is how volume was behind so many of the wins. And Mobile has the highest volumes now.